Meguiar's Soft Buff DA 6” Foam Finishing Pad was created to apply paint sealant, wax and glaze efficiently without worry of creating swirl marks. The advanced technology foam of the Meguiar's Soft Buff DA 6” Foam Finishing Pads will leave your paint finish with depth and an unbelievable shine. The low profile foam of the Meguiar's Soft Buff DA 6” Foam Finishing Pads offers even coverage when applying waxes, paint sealants or glazes with less product consumption. 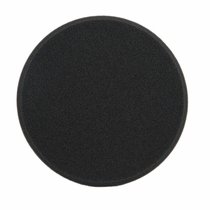 Meguiar's Soft Buff DA 6” Foam Finishing Pad RECOMMENDATIONS: Center Meguiar's Soft Buff DA 6” Foam Finishing Pad on Meguiar's 6” Dual Action Backing Plate. Use Meguiar’s or any other car wax, paint sealant or glaze. 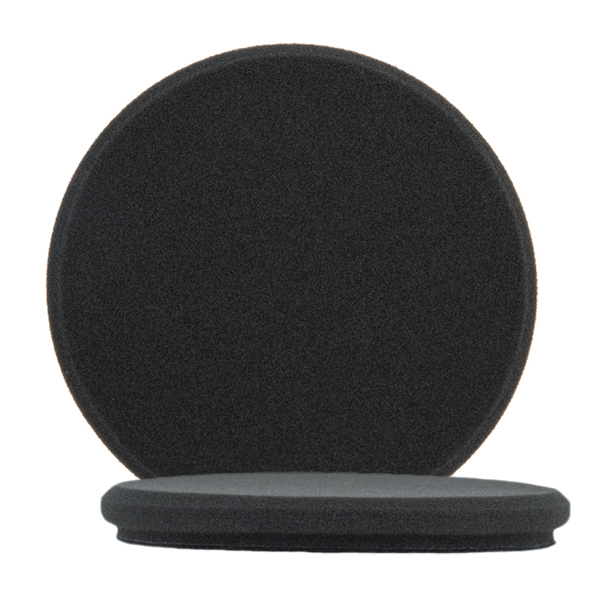 Be sure to keep your pad flat on the surface during your application process for optimum results. 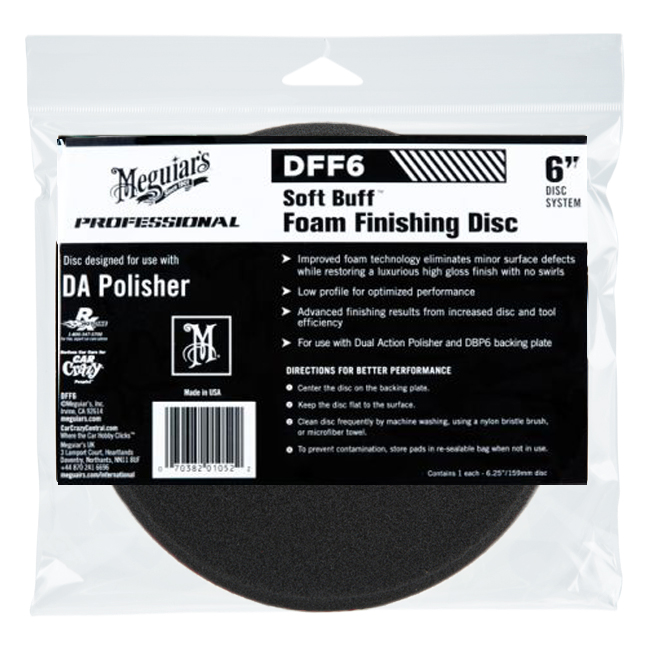 Meguiar's Soft Buff DA 6” Foam Cutting Pad CARE: Should your Meguiar's Soft Buff DA 6” Foam Finishing Pad load up with wax, paint sealant or glaze during use, gently clean with a nylon bristle pad cleaning brush. After use, hand or machine wash using a mild detergent and to remove residue from wax, sealant or glaze. Allow to air dry thoroughly and store in original resealable plastic bag to prevent contamination.